Gerber designs the outdoor gear, tools, and pocket knives that are essential for getting the job done. 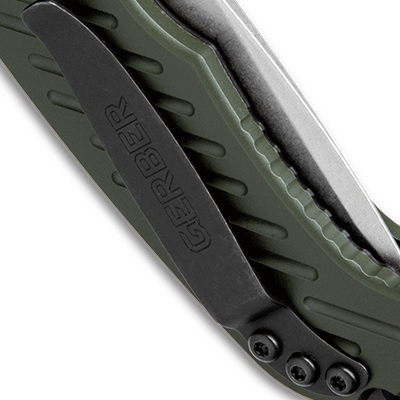 Gerber makes a variety of styles including automatic, manual, and fixed blades that all use high-quality materials. That's Gerber. Hello Trouble. Founded in 1939, Gerber Gear has built its reputation on unwavering standards of quality, innovation, and design. What was once only a pocket knife company now produces multitools, axes, handsaws, machetes, and more. Whether you're deploying into active duty, going on a big-game hunt, or just want to have the best tool for the job in your pocket, you can't go wrong grabbing a Gerber. These pocket knives and tools are built sturdy to stand the test of time. Which Gerber Should I Get? 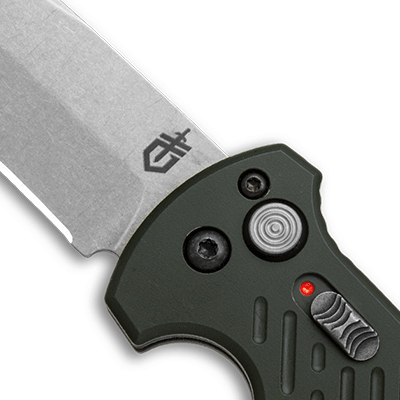 Gerber is known for their incredibly well-designed automatic knives. The video above highlights some of the tried and true classic switchblades from Gerber. You can also check out our top three best sellers - the Flatiron, Empower, and Icon if you want to see some of the best Gerber knives available today. 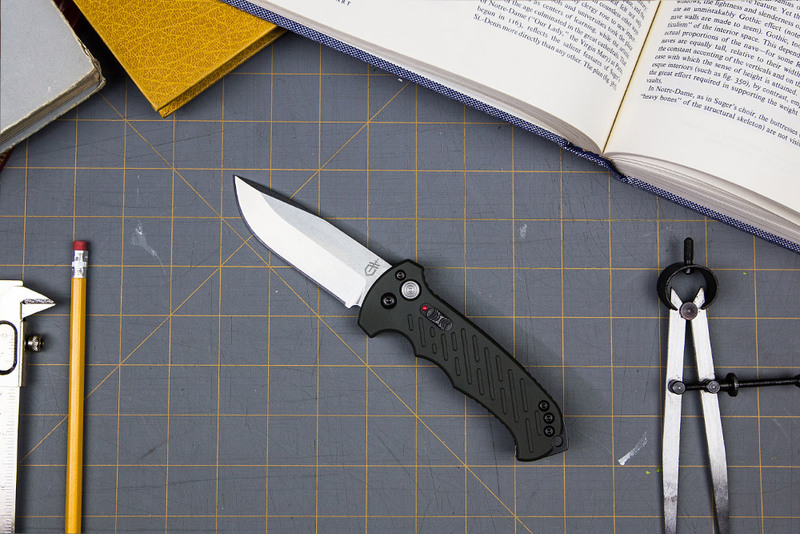 Feel free to check out our Best Switchblade Knives and Best Fixed Blades guides to see which Gerber knives made the lists. From Gerber as of 12/5/18. Limited lifetime warranty In North America Only. 25 years limited warranty outside of North America. Gerber products are warranted to be free of defects in material and workmanship for as long as the original consumer owns the product. At Gerber’s option, defective product will be repaired, replaced, or substituted with a product of equal value. This warranty does not cover damaged product due to misuse or abuse, sharpening, normal wear and tear, accidental damage or industrial/commercial use. For cutting tools: Gerber shall in no event be liable for incidental or consequential damages. Some states do not allow the exclusion or limitation of incidental or consequential damages, so the above exclusion may not apply to you. This warranty gives you specific legal rights, and you may also have other rights which vary from state to state.